Are Google's First-Party Play Apps Any Good? Are Google’s First-Party Play Apps Any Good? Google makes a lot of apps. Some are lesser-known 5 Lesser-Known Google-Made Android Apps You Should Try 5 Lesser-Known Google-Made Android Apps You Should Try You may not have heard of these Google apps, but they're pretty amazing. Check them out and you may just find something you like. Read More , but many come pre-installed on Android devices, like the Play apps that recently got a nice unified redesign. These include Music, Books, Movies & TV, Games, and Newsstand. 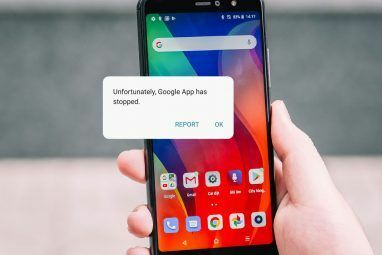 But are these apps actually worth using, or should you delete them How to Remove Bloatware on Android Without Rooting How to Remove Bloatware on Android Without Rooting Did your phone come with a bunch of crappy apps pre-installed? Let us show you how to get rid of them the easy way. Read More and never look back? Let’s take a look at them one by one to decidecom — because these are some very different apps. If there’s only one app on this list you genuinely try out, it should be this one. Google Play Music is easily the strongest app The Best Music Player on Android: Google Play Music Reviewed The Best Music Player on Android: Google Play Music Reviewed Google Play Music is a music streaming service, a local music player, and a podcast player all mashed into one. And it's great. Read More here, offering you a fantastic way to listen to all of your music and find new bands and artists. First let’s explore the free capabilities of the app before diving into the subscription-based side. Think of it like a web-based iTunes — instead of all of your music being on your computer, all your music is stored in the cloud. You can then listen to it from anywhere you have Internet access and download it to any of your devices to play offline. The biggest advantage of this is that your music is constantly backed up. If you fall into a pool with your phone in your pocket and your laptop in your arms (highly not recommended), all of your music lives on in the cloud. You can upload up to 50,000 of your own songs, which for most people easily encompasses their entire collection. For the rest of you, maybe it’s time to clean up your collection to under 50,000 songs? On top of all that, the Play Music app for Android is gorgeous and fluid, easily besting other music apps for Android 6 Gorgeous Material Design-Inspired Music Players for Android 6 Gorgeous Material Design-Inspired Music Players for Android Looking for a music player that's been updated with Material Design in mind? Look no further! Read More . Navigation is simple, and all the functions you could possibly need are there. Google even recently added Podcast support. If you’re willing to fork over $10 a month for YouTube Red Is YouTube Premium Worth the Cost? 7 Things You Need to Consider Is YouTube Premium Worth the Cost? 7 Things You Need to Consider Is YouTube Premium's cost worth it? We look into the pros and cons of YouTube's paid version. Read More , you get access to even more music. Google Play Music can then function like Spotify, allowing you to find any song in Google’s library and play it instantly. You can set up custom radio stations to discover new music similar to your tastes and, of course, there are no adverts. 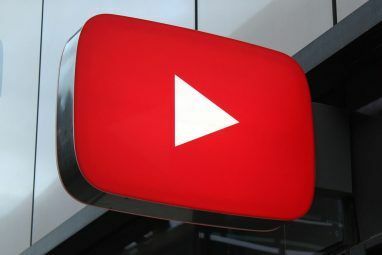 Plus, with a YouTube Red subscription, you get access to ad-free YouTube and original YouTube programming, but that’s just icing on the cake at this point. So is Play Music worth a look? Absolutely. Whether you use the free version as an iTunes replacement or the paid version as a Spotify replacement, it’s easily the best way to consume music on Android What Is the Best Way to Stream Music for Free on Android? What Is the Best Way to Stream Music for Free on Android? 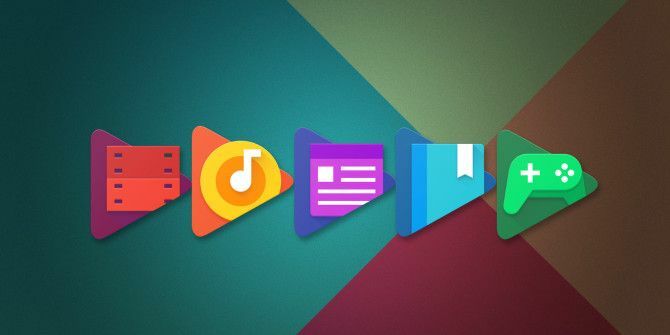 There are a ton of free music-streaming apps for Android, but how are they different and which is your best option? Read More . Alright, here’s where things start to get a little rocky, because Google has some major competition in this department, notably Amazon. Amazon’s Kindle eReaders are fantastic and have helped Amazon’s eBook store has positioned itself as the one to beat. You can even get some free books by signing up for Amazon Prime Which Amazon Prime Subscription Is Right for You? Which Amazon Prime Subscription Is Right for You? Potential subscribers formerly only had one option when it came to Amazon Prime. However, now, Amazon is offering three different subscription plans so you can pick the one that best suits your needs. Read More . That makes Amazon’s Kindle app for Android an incredibly attractive proposal, and it means that Play Books has to differentiate itself somehow. The major difference you’ll find in Google’s app is the ability to read ePub files Get More Out of Google Play Books By Adding Your Favorite eBooks Get More Out of Google Play Books By Adding Your Favorite eBooks Google Play Books isn't just for eBooks purchased from Google; you can easily upload your own ePub or PDF eBooks that sync with Play Books. Read More (the universal standard for eBooks, which Amazon forgoes in favor of a proprietary file type). This means you can get your own DRM-free eBooks from any number of sources and read them using the Play Books apps — which is impossible on the Kindle app. Otherwise, there’s nothing extraordinary about Play Books. It offers a clean ad-free eReading experience Reading A Book On Your Android Device? Google Play Books Makes It Easy Reading A Book On Your Android Device? Google Play Books Makes It Easy Let's take a look at Google's stab at the fast-growing eBook market. Read More , and the selection of books in the Play Store isn’t terrible. Whether you should use Play Books or not really comes down to how invested you are in the Amazon ecosystem. If you have a Kindle or a Prime subscription and would prefer to keep it that way, then Play Books is largely useless. But, if you have no interest in that and would prefer to have the ability to read DRM-free eBooks, then Play Books does make for a solid eReading app. So you’ve ditched iTunes for Google Play Music, but now you’ve realized you want to download a new movie to watch. What service is supposed to replace that? Say hello to Play Movies & TV. For a lot of folks, it’s hard to justify flat-out buying movies or TV shows in the age of Netflix and Hulu Netflix vs. Hulu vs. Amazon Prime: Which Should You Choose? Netflix vs. Hulu vs. Amazon Prime: Which Should You Choose? It has been years since we've compared heavy-hitting streaming services, Netflix, Hulu, and Amazon Prime. And with changes in pricing, content, quality, and interface, we thought it was time to revisit the topic. Read More , but others just want to really own a copy of something rather than relying on a subscription. Since Netflix and Hulu tend to get movies later, purchasing or renting on Play Movies & TV can be a good way to stay on top of the newest releases without having to purchase a DVD like some kind of neanderthal. New releases for movies tend to cost about $15 for an HD copy, and you can often (but not always) rent them for $3 to $5. New releases for TV shows are usually around $2, while prices for seasons can vary wildly and rarely you can find some episodes for free. Obviously, being a Google product, Movies & TV supports streaming to Chromecast Chromecast 2.0: What's New? Chromecast 2.0: What's New? The aptly named Chromecast 2.0 is Google's first major revision to the device since it was first released all the way back in July 2013. What's new? Read More so you can have a real movie night in front of the TV rather than hunched over your smartphone. The biggest downside is a lack of any subscription model, so you’re going to be paying per episode, season, or movie. That certainly feels dated nowadays, but if that works for you, give Play Movies & TV a shot. Google Play Games is a bit of a different beast. It’s basically a portal to all your Android games, giving you a nice interface to browse through them, see how your scores compare to your friends Google Play Games Levels Up With Game Gifts, Multiplayer Invites, And iOS Support Google Play Games Levels Up With Game Gifts, Multiplayer Invites, And iOS Support The recent the Game Developers Conference (GDC) saw a number of new Google Play services and tools make their debut. Google threw in a few enhancements for players and game developers alike. Read More , and earn XP and unlock achievements for your games. This adds a nice level of gamification to everything, allowing you to track your level and get competitive. Some games in the Play Store actually require Play Games to function properly, so you might be prompted to download it anyway at some point. 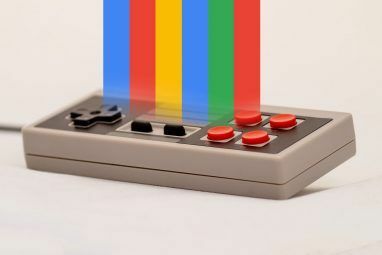 Additionally, you can record your screen using the app Record Your Screen on Android With Google Play Games Record Your Screen on Android With Google Play Games Want to record the games you play on your Android phone or tablet? Luckily for you, there's now a built-in way to do that. Read More , which is a nice little bonus. If you’re a mobile gamer, there’s really no reason not to download Play Games. It has no real competition and it only serves to enhance your gaming experience. Want to catch up on the news without switching between a bunch of different apps or websites? Want to read through your digital magazine subscriptions Top 5 Best Android Apps For Reading Magazines Top 5 Best Android Apps For Reading Magazines For reading magazines on your Android tablet or phone, you will want these apps. Read More ? Then you want to use Play Newsstand. Play Newsstand is essentially the successor to both Play Magazines and Currents. It allows you to read through any of your magazines purchased on the Play Store, and it also works as a news reader app What Is The Best News Reader App For Android? What Is The Best News Reader App For Android? Android devices are perfect for consuming news articles, but how do you choose an app for that? Let's run through the best options! Read More for browsing through websites like The New York Times, The Verge, and lots more. There are other magazine and news reader apps out there The 5 Best News Curation Apps to Fight Information Overload The 5 Best News Curation Apps to Fight Information Overload You've got so much vying for your attention -- news articles, Reddit posts, tweets, Facebook posts -- but what if you could get it all curated in one place? Read More , but as usual, Google does a good job of simplifying the experience and bringing it all together in one app. Obviously, if you’re trying to avoid giving information to Google Android Users: How to Stop Giving so Much Personal Information to Google Android Users: How to Stop Giving so Much Personal Information to Google Android users, by default, give Google a lot of information. Here's how to get out of that trap. Read More , these are apps to avoid — but if you’re on good terms with our almighty Google overlords, then these really might be worth a look. For the most part, they’re actually very useful apps. What do you think of Google’s different Play apps? Which ones do you use on the regular? What improvements do you think need to be made? Let us know down in the comments! Explore more about: Google, Google Music, Google Play. Can I down load your application on my psp ? And if so will it work /run ? "[reading ePub books] which is impossible on the Kindle app." Baloney. Laurel has beaten me to the punch, and as she notes, it's very easy to convert an ePub file into a Kindle-compatible format (the excellent freeware Calibre does a great job, as do others). Why in this world does anyone still use the bloated Kindle app or Google Play Books when there's Moon +? It supports pdf, mobi, epub, and many, MANY more digital book formats. The U.S. is not the only country on this planet. Google Play Music isn't aware of that, which is typically American. There are countries besides the wealthy First World ones. Eff Play Music. Store your collection on your SD card, and fire up Rocket Player. Google Play Games is essential for modern gaming apps. Many need it to run. It uses gamer tags now, so I'm not sure it will force a Google Plus account to function. The other services are too stupid to deserve a mention from me. By the way, Google Play Services comes pre-installed on MANY Android devices. For the noobs, if you aren't rooted, you can't delete any of them. You can disable them at most. It's not even advisable to uninstall them while rooted, as they are tied in deeply with the OS itself, which is so Google. Play Books also opens and stores .CBR files, commonly used to distribute comic books. I prefer Moon+ Reader or Aldiko since I don't necessarily want Google to know what I'm choosing to read, but Play Books is entirely workable. Play Games still tries to force users to create a Google+ account, which is a non-starter for me. I like Google Play Music for its free features, but boy-oh-boy is it good at mangling metadata for uploaded content. I'd be a lot happier with it if it had the ability to accept user tags instead of inflicting the tags someone else used on your music. There's a major difference between a Google account, which allows Google some user-controllable ability to track user behavior, and a Google+ account, which creates a publicly-accessible directory entry on a social media platform. All my Google tracking is paused or off and I do enough script and content blocking to mitigate the amount of information it can glean from my activity on my PCs and devices. If Google is obtaining useful information from whatever it is getting, more power to it. My bad, I didn't see the "+"
My bad, again, hit the wrong Reply button -- that was supposed to go to likefun butnot up there (or maybe down there, depending on how this comment system works). likefun butnot mentioned that Google Play Games requires a Google + account, I missed the "+" part and said that if you're using an Android phone, you already have to sign in with a Google (without the "+") account. And, now that I think about it, you might not really need a Google account to "activate" an Android device, but I haven't tried that yet. I can;t figure out the system either. I don't know how to make it show my name. I use an email address login and i became unknown. Of COURSE you can read epub on Kindle. You just need to convert with calibre 1st. PDFs, just e-mail to your kindle's e-mail address with "convert" in the subject line.